Shows the room where Ron Miscavige worked which had to be renovated after he left. 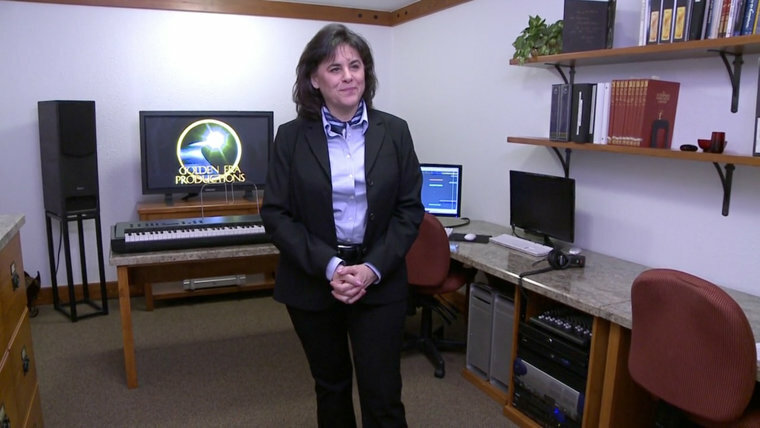 So over here is the room where Ron Miscavige did his composing; he wrote his melodies during the time he worked here. He was in this room for many years. He wouldn’t recognize it if he saw it now, because unfortunately we had no choice but to renovate it after he left. And the reason for that is there were stains all over the carpet, food ground in. There were crumbs in all the equipment and in the drawers were jellybeans. The file cabinet had food and exercise equipment and so there was a very pungent smell in the room. It smelled like a cross between garlic and sweat and rotten food. And so we basically had to de-fumigate and change out all the furniture and the carpet and paint, so that somebody else could occupy the space and actually do some work without being distracted.